For patients with locally advanced head and neck cancer, including in the oral cavity, surgery with or without radiotherapy is widely accepted as the standard treatment and is thought to be the most effective curative therapy. However, extended surgery causes loss of oral function, including swallowing and speech, and reduces patient’s quality of life. 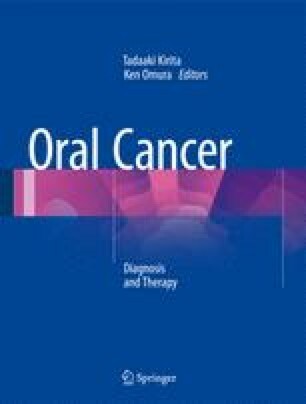 To preserve function while maintaining or improving locoregional control and survival rates, concurrent chemoradiotherapy represents one of the standard treatment modalities for definitive treatment of locoregionally advanced squamous cell carcinoma of the oral cavity, particularly in resectable advanced cases. Retrograde superselective intra-arterial chemotherapy and daily concurrent radiotherapy have the advantage of delivering a high concentration of the chemotherapeutic agents to the tumor bed, and they can be used to provide daily concurrent chemoradiotherapy to patients with advanced oral cancer. The treatment results of retrograde superselective intra-arterial chemoradiotherapy for locally advanced oral cancer have been reported to be similar to those of surgery, suggesting the usefulness of this treatment modality. Oral cancer patients with advanced cervical lymph node metastases have a poor prognosis. Hyperthermia has generally been confined to treatment of cervical lymph node metastases accessible with a radiofrequency system using external application and in combination with synergistic chemoradiotherapy. Thermochemoradiotherapy using retrograde superselective intra-arterial infusion is used in patients with advanced cervical lymph node metastases, and not only the primary lesion but also cervical lymph node metastases are controlled. In this chapter, the therapeutic results in patients with advanced oral cancer treated with retrograde superselective intra-arterial chemoradiotherapy and the effectiveness of thermochemoradiotherapy for patients with advanced cervical lymph node metastases are described.